I think we can all agree that being that one person left out of a conversation at the dinner table is really uncomfortable. It’s happened to me plenty of times when I’ve tried to jump into conversations happening to my right or my left, and, after a few unsuccessful attempts, retreated back to my wine. This is nothing I get too frustrated at, but it can be stressful. That’s right, some time before the fish you are required to stop talking to the person which whom you’d been talking, and start talking to someone else. God forbid you try to talk to someone across the table, or with more than one person, etc. 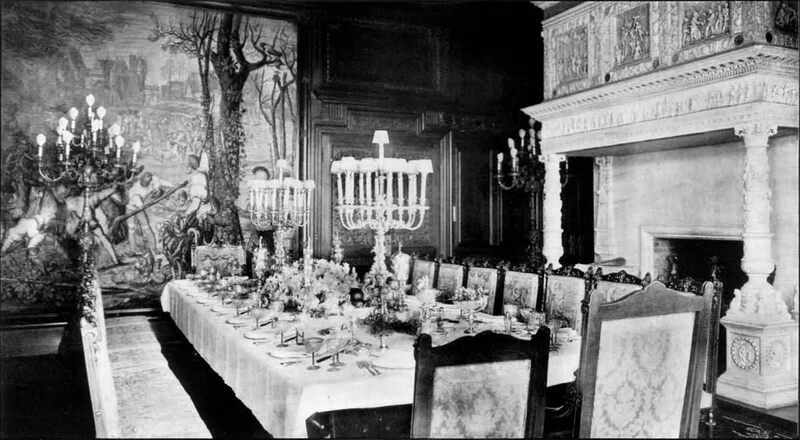 A few people have made the argument that elaborate centerpieces at formal dinners 100 years ago often made speaking to the person across from you impossible. However, elaborate formal place settings would probably make the person next to you equally distant. I imagine people communicated solely by the tones you make when you rub the rim of your crystal water glass. Oh, and do you hate the person sitting next to you? Too bad. You’re encouraged to do something like recite the times tables to each other to make it look like you’re talking. I hate rude people as much as the next person (maybe more, since I co-founded a website about etiquette), but publicly shaming your dinner guests seems a little extreme. Granted, we live in a time where it is highly unlikely that you’ll be dining this formally, and the prevalence of circular tables at fancy occasions makes various triangulations of conversation much easier. So let’s toast to the fact that, no matter where we eat, we can generally converse with whom we want, and about more interesting topics than the times tables. Come see Jaya speak more on this topic at TED-y Talks next Tuesday at the Branded Saloon in Brooklyn. Facebook event with time and address here! Thanks for joining us for our first week! Stay up to date by following us on Twitter and on Facebook.